One of the most controversial figures in the history of psychology, the name 'BF Skinner' still has the power to create controversy. Recently, the book Opening Skinner's Box (Lauren Slater) revived the story of the great psychologist's infant daughter having been raised in a sterile enclosed plastic crib - which in later life turned her insane and led to her suicide. In fact, Deborah Skinner was alive and well and living in London, and in a newspaper story recounted a happy childhood and devoted father. The crib was designed to free up infant movement, and had done her no harm. Her father's actual term for it was a 'baby tender', but it had been confused with the apparatus used in his experiments with animals, the 'Skinner box'. The subtext of most Skinner stories is that he saw humans as no different to animals, and to some extent this was true. Even as a young psychology graduate student he had rebelled against what he saw as the romantic idea that human action was the result of inner emotions, thoughts and drives (the 'psyche'). Rather, as Pavlov's work had indicated, humans should be analyzed as physical beings interacting with their environment. Yet in his theory of 'operant behavior', Skinner went beyond Pavlov. Humans were not simply reflexive machines, but also changed their actions according to the consequences of their behavior. This philosophical distinction allowed for the incredible variety of human difference, while allowing adhesion to the behaviorist line that humans were basically creatures of their environment. John B Watson may have been Behaviorism's founder, but Skinner became its most famous exponent, partly because he was a brilliant experimenter (pigeons were to Skinner as dogs were to Pavlov) but also because he could write. His combination of technical skill and a desire to see the big, philosophical picture was unusual, the result being esteem by his peers and the production of best-selling books that made people think. In the United States, Beyond Freedom & Dignity was controversial from the start, and it is no wonder: not only did it say that the ethos of the individual, upon which America rested, was philosophical hogwash, but that the ethos would end up destroying the planet. The book was written at a time when issues such overpopulation and nuclear war seemed a terrible threat. The very survival of the species seemed at stake. What could be done? While Skinner noted that it was natural to try to solve the world's problems by advances in technology or science, real solutions would only emerge when people's behavior changed. Having contraceptives was no guarantee that people would use them; access to more advanced agricultural techniques does not ensure their use. Problems are caused by people, yet it is not enough to create a better relationship between people and technology, or even to personalize technology. Rather, what was needed was a 'technology of behavior'. Skinner noted how little psychology had advanced compared to physics and biology. In ancient Greece, people's understanding of what made them tick was as good as their understanding of how the universe worked. But today, while our knowledge in the hard sciences has moved ahead leaps and bounds, our understanding of ourselves is no greater. Surely, though, human behavior is different to the hard sciences? We are, after all, talking about inner wishes and wants, philosophies of life, the mystery of human action and so on. Yet Skinner noted that many of the questions that have been successfully answered in physics, biology and other sciences were no easier than those relating to human behavior, it is just that the instruments developed to analyze or measure have taken on a corresponding complexity. Skinner believed that the modern science of psychology looked for the causes of behavior in the wrong place, and was therefore fundamentally in error. We no longer believed that people are possessed by demons, Skinner noted, yet psychology was still based on the view that our behavior is determined by 'indwelling agents'. In Freudian psychology, for instance, the actions of one human body are driven by the interaction of not one but three of these inner elements (the id, the ego and the superego). The medieval alchemists attributed to each person a mystical 'essence' that shaped behavior, and today we believe in something called 'human nature' which is said to move us. In today's psychology, and indeed in the larger culture, we do not even question the idea that action stems from inner intentions, purposes, and goals. The result is that we are told all the world's problems boil down to changing inner attitudes: overcoming pride, lessening the will to power or aggression, increasing self-respect, creating a sense of purpose and so on. Yet for Skinner, all such conceptions of human beings were 'prescientific'. Physics and biology long ago gave up the idea that objects or animals are driven by an 'inner purpose', yet we still say that a nonphysical feeling is said to 'cause' a physical act of aggression. It is a given that states of mind cause behavior. This 'mentalism', as Skinner called it, meant that behavior is not studied in its own right. Behaviors are just seen as symptoms of the 'fascinating drama' going on in the mind, where the real issues lie. In literature, he noted, what a person does is almost always attributed to ideas, motivations or feelings, while in economics, theology and political science, their actions are always explained in terms of attitudes, intentions and beliefs. But Skinner's revolutionary idea was that after 2500 years of this mentalism, maybe we should begin to look at behavior on its own and not as a byproduct. Skinner notes that if we ask someone why they went to the theatre, and they say 'I felt like going' we accept this as an explanation. However, it would be more accurate to know what has made her go in the past, what she has read or heard about the play, and any other environmental factors that led to her decision to go. We think of people as 'centers from which behavior emanates', when it is more accurate to see people as the end result of the influence of the world upon them, and their reactions to the world. 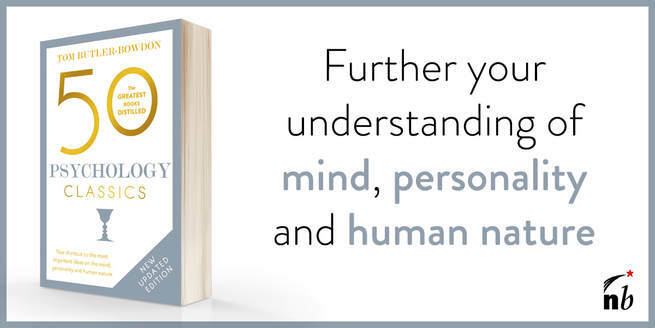 We don't need to know about a person's state of mind, feelings, personality, plans or purposes in order to study behavior. To know why people act as they do, Skinner suggested, all we need to know is what circumstances caused them to act in a certain way. Before Darwin, the natural world was just the setting for the birth, life and death of beings. But Darwin's great observation was that the environment was responsible for the variety of life, through the mechanism of natural selection. Skinner's argument was that we cannot take human behavior out of this context and make man an exceptional case. Our environments are not simply the setting for our self-willed actions, but shape us into what we are. We change the course of our actions according to what we learn is good for us (our survival) or not so good. We believe we act autonomously, but it is more accurate to observe that we act according to what 'reinforces' our actions. Just as a species prospers or withers depending on how it interacts with and adapts to its environment, so the person we are is the result of our interaction and adjustment to the world we have been born into. The traditional view of humankind is that a person is a free, autonomous force. There are 'influences' on him, but on the whole he is a self-causing entity. We hold fast to such a romantic and ideological view because we don't want to accept the idea of 'predictable man'. This would make us too like an animal or a machine. Yet we only have the idea of the autonomous person because behavior is a mystery. When you create a scientific analysis of behavior (behaviorism), this mystery dissolves. The result is that individual people cannot be blamed as much for what they do, but neither can they be held up as heroes. What is meant by Skinner's title, 'Beyond Freedom and Dignity'? He acknowledges the 'literature of freedom' which has been successful in the past at inspiring people to rebel against oppressive authorities. These writings naturally link control and exploitation of humans with evil, and escape from that control as good. But Skinner found something missing from this simple equation: the fact that we have actually designed our societies to involve many different forms of control that are based on aversion or inducement instead of outright force. Most of these more subtle forms of control people are willing to submit to because they ultimately serve their own social or economic ends. For instance, millions of people hate their jobs, yet they stay because of the consequences of not working; they are controlled by aversion rather than force - but controlled nevertheless.Nearly all of us live in communities, and to maintain themselves communities require a certain amount of control. Would it not be better to admit that we are not as free and autonomous as we would like to believe, to be open about choosing the forms of control which we will submit to? Why not get scientific about the forms of control which are most effective? This is the essence of behaviorism. Skinner's emphasis on the environment as the cause of behavior seem so affronting because – he admitted - it seems to lessen our dignity or worth as individuals. As a species we like praising achievements, but will only give credit when the causes of a person's behavior are a mystery. How could this person have done this great thing, performed this great act, we wonder? A work of literature is praised to high heaven, but a potboiler, considered to be 'formulaic' is sneered at. The more we can discern a 'cause' of behavior, the less likely we are to commend the person. One is seen as heroic to the extent that he or she is not seen to be simply the product of an environment, but a cause unto themselves. Punishment, according to Skinner, is a clumsy way of dealing with people who have not understood and reacted properly to society's larger goals. A better way is to change behaviors by reinforcing alternative courses of action. You can't give people a purpose or intention, but you can make some behaviors more attractive, and others less so. Given the massive shaping power of the environment, Skinner writes, it is a much better use of a culture's resources to “proceed to the design of better environments rather than of better men”. You can't change a mind. You can only change the environment that may prompt a person to act differently. Skinner's point was that we spend a huge amount of energy upholding the ethic of individualism, when as a species we could achieve more focusing more on the type of environmental situations that product remarkable achievement. He did not deny that there were great people who had made remarkable contributions, but he believed we would create more such people not through an ethic of triumphant individualism, but through creating more conducive environments. This sounds like a communist or Utopian viewpoint, but suspend judgment for a minute and it is easy to find evidence of its truth. Skinner puts it in these terms: “Although cultures are improved by people whose wisdom and compassion may supply clues to what they do or will do, the ultimate improvement comes from the environment which makes them wise and compassionate”. What we consider 'traits of character' are really the culmination of a history of environmental reinforcement. In short, Skinner believed we had put human beings on a pedestal. While Hamlet was made to say of man, 'How like a god! ', he also notes Pavlov’s observation of us, 'How like a dog!'. Skinner felt we were more than a dog, and marveled at the complexity of human beings and their actions – yet he also said we were no different than dogs in being able subjects of scientific analysis. While poets, writers, philosophers and authors had long celebrated the inner motive that guided the human self, Skinner’s clinical definition was: “A self is a repertoire of behavior appropriate to a given set of contingencies”. But what about things like conscience and morality? Skinner has this to say: “...man is not a moral animal in the sense of possessing a special trait or virtue; he has built a kind of social environment which induces him to behave in moral ways”. Although Skinner believed that each person was unique, down to every fiber of their body, he also felt this was missing the point. The individual was a stage in a process that began a long time before he or she came into existence, and would continue long after they had gone. Within this larger context, was it not foolish to make a lot of noise about 'individuality'? Surely it was more productive to see ourselves as a link in a long chain, shaped by our genetic history and environment, but also with the capacity to shape that environment in turn. Beyond Freedom & Dignity attracted a lot of controversy when published, as it seemed to undermine the ethic of personal freedom that makes America what it is. But were Skinner's ideas really that dangerous? Freedom is a wonderful idea, but cultures and communities, by their very nature, require a dense apparatus of control to survive. Skinner described the evolution of a culture as “a kind of gigantic exercise in self-control”, which was no different to the way that an individual person organizes their life to ensure their continuing existence and prosperity. Control was therefore a fact of life; his point was that it was possible to create cultures in which there were less aversionary controls such as the threat of punishment, and more positive ones that people freely agreed to. This was the scenario sketched out in his fictional Utopian classicWalden II. On the surface it sounds like early communism, but the key difference is that communist ideology was built around a misplaced faith in human nature. In contrast, behaviorism aimed to scientifically analyze how humans really acted; any culture deriving from its ideas would not be built on a vain hope but observable facts. One of Skinner's fascinating points, which perhaps has much relevance for out times, is that cultures who put freedom and dignity above all else, who take the 'romantic' view of psychology concerning the freedom of the inner man etc. risk being surpassed by other cultures which put their survival first. Countries may pride themselves on being 'right', but such inflexibility does not always guarantee a future. If you have always firmly held to an Ayn Rand-like belief in personal responsibility, free will and the primacy of the individual, Skinner may cause a revolution in your thinking. Did he actually believe the idea of the individual should be abolished? No, simply the 'inner person' who is said to heroically manipulate their environment to their ends. We don't change man by being scientific about him, Skinner pointed out, any more than Isaac Newton's analysis of a rainbow lessened its beauty. While Skinner remains unfashionable, his influence across a range of areas has been major. In time the popular view of him as the cold man of the lab is likely to change to reflect the reality of someone who knew there was too much at stake to gamble with ideologies and romantic ideas of man. In aiming to find a scientific basis for improving our lot he was a genuine humanitarian. “Although cultures are improved by people whose wisdom and compassion may supply clues to what they do or will do, the ultimate improvement comes from the environment which makes them wise and compassionate”. Burrhus Frederic ('Fred') Skinner was born in 1904 in Susquehanna, a small railroad town in Pennsylvania, United States. His father was a lawyer and his mother a housewife. Skinner attended Hamilton College in New York, graduating with a BA in English, and had dreams of becoming a writer. He lived a bohemian life in Greenwich Village in New York for a while, but with no real success in his poetry and short story writing, and having come across writings by Pavlov and John B Watson, applied to study psychology at Harvard. At Harvard he completed his Masters degree and doctorate, undertook research and taught. It was at the University of Minnesota (1937-45) and the University of Indiana (1945-48), where he was chairman of psychology department, that Skinner did much of the experimentation that made him well known. He returned to Harvard in 1947 as William James Lecturer, later becoming Edgar Pierce Professor of Psychology. Skinner's many honors include the National Medal of Science, awarded in 1968 from President Lyndon B Johnson, and the first lifetime achievement award from the American Psychological Association. Books include The Behavior of Organisms (1938), Walden II (1948) Verbal Behavior (1957, famously criticized by Noam Chomsky), Science and Human Behavior (1953) and About Behaviorism (1974). His three autobiographies are Particulars of My Life, The Shaping of a Behaviorist, and A Matter of Consequences. Skinner died of leukemia in 1990.